The Society of 1918 is William & Mary's giving society by women, for women. It supports the Alumnae Initiatives Endowment, which will fund enriching programming that brings W&M women together to strengthen their bonds with one another and with alma mater. This includes regional and interest-based events throughout the U.S. and the on-campus signature event W&M Women’s Weekend. Aili Espigh ’17 is the youngest charter member. Why did you join the Society of 1918? On my first day of new student orientation in 2014, I was already captivated by the school, but hearing from President Reveley that day in Kaplan Arena really made an impression on me. Part of his presentation was about two women who had contributed financially to William & Mary for 50 years straight. I remember being immediately taken with the idea that someone could still love the university that much 50 years later. I told myself then and there that I would be one of those women in 50 years. So, I knew I always wanted to be a donor and help in any way that I could. Then the Society of 1918 came along and it was the perfect challenge to prompt me to start giving. Now I’m challenging myself to give a little more to get to the presidential level. I’m bringing my partner along with me and encouraging them to give too. It's the least I can do after all the university has done for me. 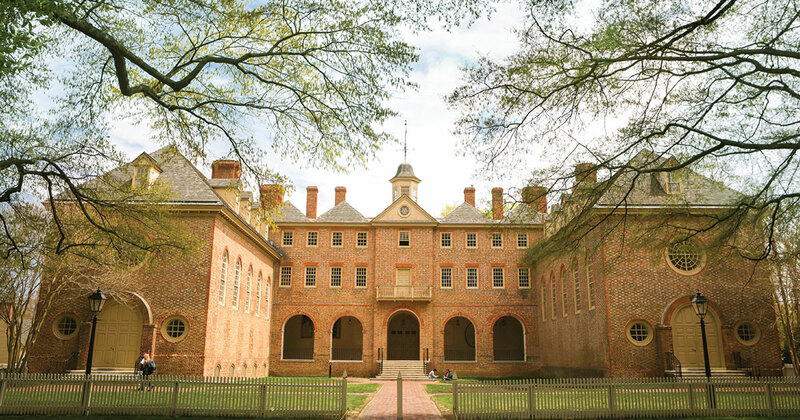 For three years, William & Mary gave me my home, my friends, my professors, my mentors and my education. It gave me everything, and giving back is the least I can do to say thank you. How did you first find out about the Society of 1918? The society was in its charter year, and my roommate Chase told me he thought it was a great opportunity for me to become more involved as an alumna. I looked into it and, to be honest, I was initially startled at the price tag. I thought there was no way I could do this — I had just graduated — but I sat down and really questioned my commitment as an alumna. I thought about joining as a really great way to challenge myself, grow in my dedication to the university and share the love I've felt for this place ever since I first stepped on campus. This February is my one-year anniversary with the society. It’s gone by so quickly! Soon after I joined as a charter member, Val Cushman, senior director for alumni engagement and inclusion initiatives, asked me to join the steering committee. It has been a great experience and I'm excited to provide my perspective on what younger alumnae are interested in. As cliché as it sounds, my favorite thing about the society is how incredible all the members are. They all bring something unique to the table. Many are older and have led really interesting lives. It’s been awesome to just have coffee with them and discuss their careers, interests and love for William & Mary! I’m very inspired by these women. 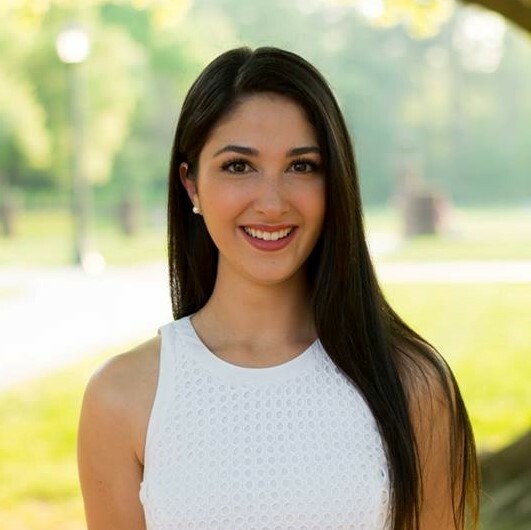 Why is it important for young alumni to stay connected to William & Mary? The university will continue to support you beyond your years on campus, as you grow personally and professionally. You might have some time, talent, or maybe even some treasure you’d want to give back. There are so many opportunities to both mentor and be mentored. You remember what it was like as a student looking for opportunities, and you can take that and give back to students. You are also able to reach out and receive that mentorship from older alumni with more experience. When you bridge the gap between students and older alumni, you strengthen the entire William & Mary community. What are you looking forward to as the society grows? I’m really excited to see what we can continue to do as we grow our funding. Our goal is $4 million for the Alumnae Initiatives Endowment by June 30, 2019. What will $4 million mean for us? How do we grow our mission and include women’s initiatives outside the alumnae network? I love that the society is by women, for women, and it's great to see what we can do together. Getting more involved with the students is one of my passions. In March, at our Thriving Tribe event, we’ll be inviting young women leaders for a coffee hour. It's so exciting for us to meet them and hear their perspectives, and for them to get to know the society and look forward to joining us when they are able. What advice would you give young women thinking of joining the society? We are so excited to have more young alumnae join us. The median age right now is a little older and can be intimidating, but that’s why we want young women to join. Your perspective is really valuable. If you love and are dedicated to the school, it’s worth it. There's now a special Young Guarde rate — $84 a month for five years. There are also other ways to get involved if you can’t accept this challenge right now.